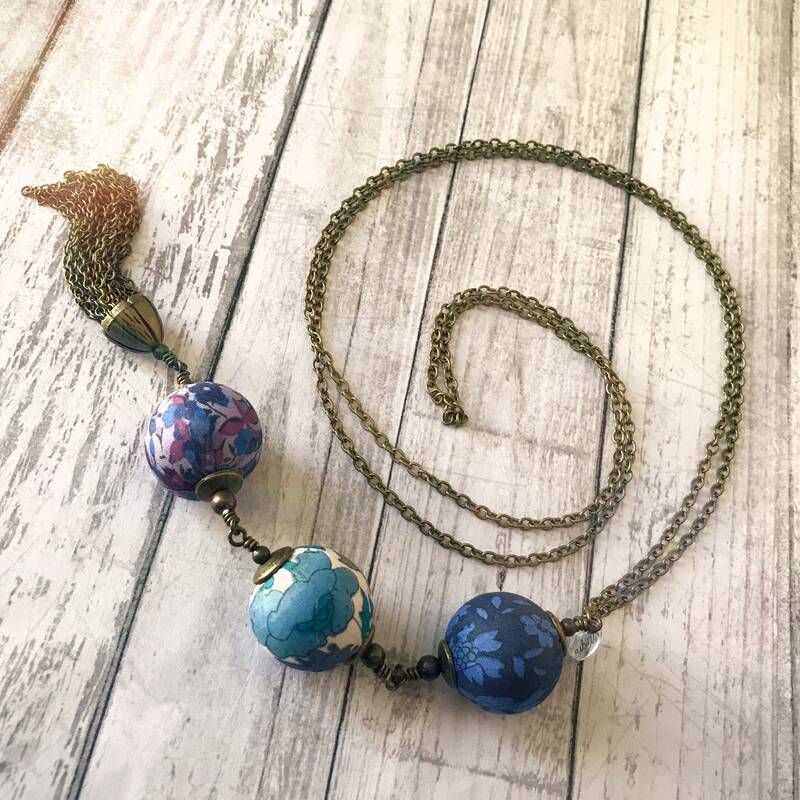 Beautiful and original long Liberty necklace made with 3 lovely hand crafted textile beads, various antique brass metal components and chain, a nice antique brass tassel. Includes a small transparent "Micho" signature charm for Marie Michaud Bijoux. 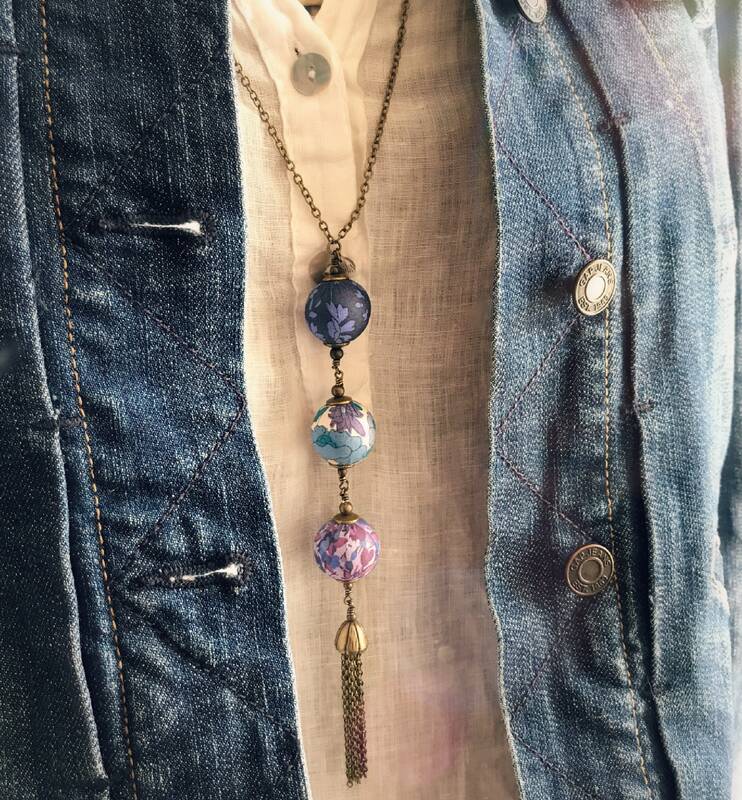 Beautiful on a warm sweater as well as on a light summer dress, this necklace will look amazing all year long! It will be a perfect choice for a woman who likes romantic and unusual accessories. Your necklace will be shipped gift wrapped in a box! 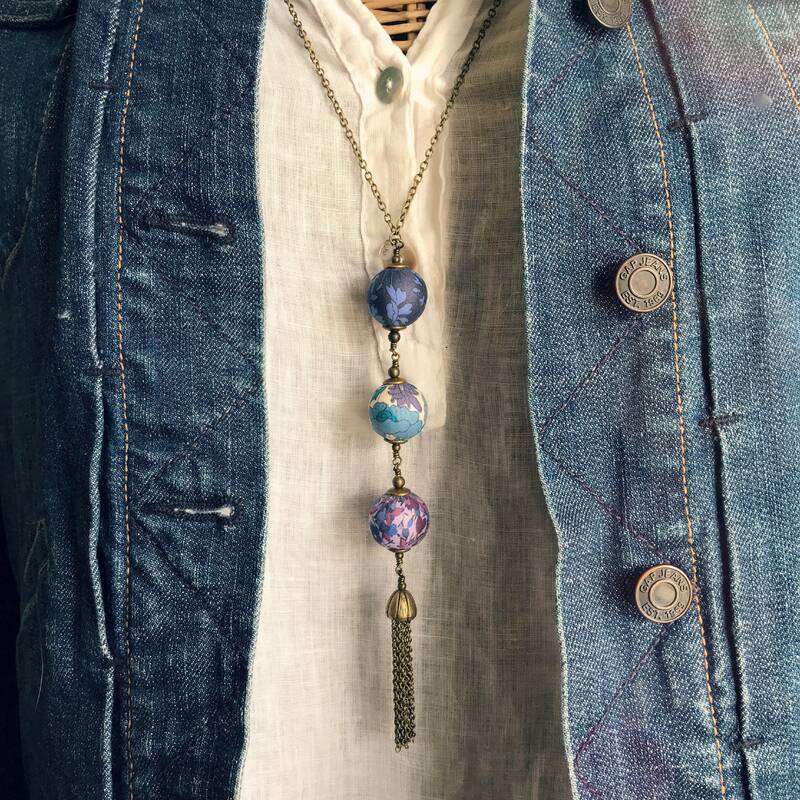 The total length of the chain is: 82 cm or 32 1/4 inches. 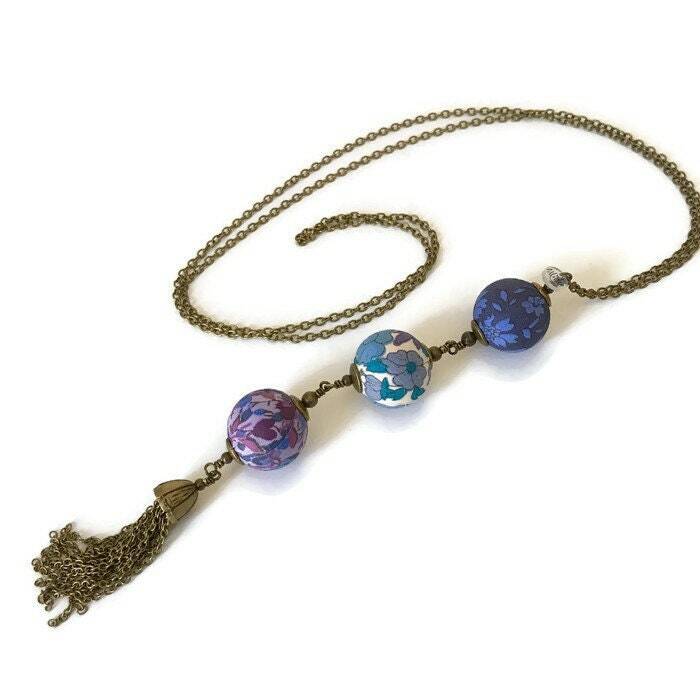 The bead and brass tassel length is: 15 cm or 6 inches.